PALM BEACH GARDENS, Fla. -- Ray Floyd is honorary chairman. Darren Clarke is a member, and Lee Westwood, Louis Oosthuizen and Charl Schwartzel all recently purchased homes here. With three major champions as residents, what is so special about Old Palm Golf Club? Some clubs are about amenities, some are about families and some are about golf. The latter is the focus at Old Palm, which obviously appeals to the professionals. So does the privacy. With a maximum of 330 members and a 24-hour manned gate, it is a pretty small world within the 650-acre community. It also means no tee times are needed. For the pros, golf is very important. They like the course, designed by Floyd, who has 62 career victories. But the resurgent interest is in large part due to recent renovations and an elaborate new practice facility. 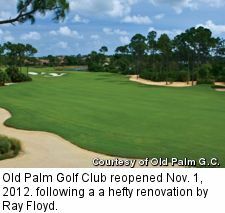 Floyd just finished a hefty renovation, and the club reopened Nov. 1, 2012 -- and it's better than ever. Bunkers, fairways and tees all were improved, and the new greens are faster and similar to the latest ones on tour. The course is also impeccably maintained. Old Palm has such varied tee placements and distances that it can challenge the world's best players while inviting the rest of its small membership to tee it up and find comfort in the safety of wide fairways -- even as water looms seemingly everywhere. The nines are very distinct. The front plays through dangerous but beautiful wetlands, while the back plays through Florida pines. There are six sets of tees (plus a hybrid set for a seventh on the scorecard) that range from 4,976 yards to 7,401 -- long by any standard but especially for a Florida design. The slope and rating from the back is an impressive 76.1/146. 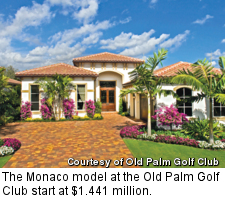 But it is not just the course that attracts golf lovers to Old Palm. The club has a superlative 33-acre practice facility complete with every bell and whistle -- from perfectly tended short-game practice areas to three full-sized practice holes (one par 3, one par 4 and one par 5). There's a hitting bay with Trackman computerized launch monitors, a high-tech indoor swing studio with wall-mounted V1 swing analysis cameras, a year-round simulator and a rare SAM PuttLab -- the kind the pros use to improve putting. 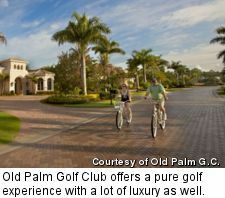 Old Palm also has a large Mediterranean-style clubhouse, a well equipped fitness center, spa and pool. The club is located in Palm Beach Gardens, where the PGA of America is headquartered. It is very convenient to the Palm Beach International Airport, as well as to the larger airport in Fort Lauderdale. Palm Beach Gardens is surrounded by exclusive neighborhoods, some of the wealthiest in Florida -- and the nation. Real estate here is limited with just 320 lots, many of which have been built on or are sold with new homes from an impressive selection of designs. There are currently three product ranges. Golf Estates are the smallest. All of them overlook private water features, natural preserves or the golf course. These homes range from 3,400 to 5,000 square feet on quarter-acre sites and are priced from $1.2 million to $2 million. The Monaco models have four bedrooms, four-and-a-half baths and two-car garages (plus golf cart), with 4,055 square feet of indoor air-conditioned living space plus 826 more for outdoor living. Grand Estates occupy half-acre sites with larger homes, from 4,800 to 7,000 square feet, and run from about $2 million to more than $3 million. Custom Estates are notable because of the lot size, as full-acre lots are a rarity in this densely developed area. 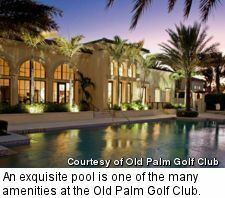 Old Palm is among the only communities in the area to offer them. Custom Estates allow for maximum flexibility in design and amenities. Model homes start at 7,000 square feet and custom homes of more than 15,000 square feet are available. Prices range from $4 million to $15 million. 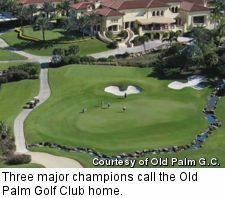 While certainly not cheap, Old Palm is surprisingly competitive with surrounding communities given its exclusivity and profile. And if you are interested in a pure golf experience with a lot of luxury as well, it is worth investigating -- especially if you have some game. Larry Olmsted has written more than 1,000 articles on golf and golf travel, for the likes of Golf Magazine, T&L Golf, LINKS, Golf & Travel, Men's Health, Men's Journal, USA Today, and many others. He broke the Guinness World Record for golf travel and wrote Getting into Guinness, as well as Golf Travel by Design. 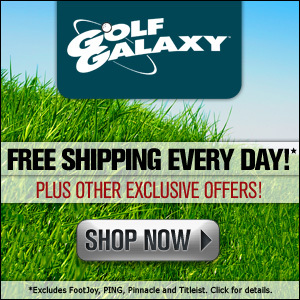 He was the founding editor of The Golf Insider, and the golf columnist for both USA Today.com and US Airways Magazine.